The openers are definitely the most important players for a batting team. They can set the platform for the rest of the players and their heroics at the top of the order can help the team post huge totals, which makes the job of the bowlers easier. India has been fortunate to have had some of the greatest batsmen of all-time play at the opening slot. With their talent and mindset, they changed the outcome of the game at will and led the team to famous victories. In this article, we take a look at five of the best Indian openers of all-time in one-day cricket. 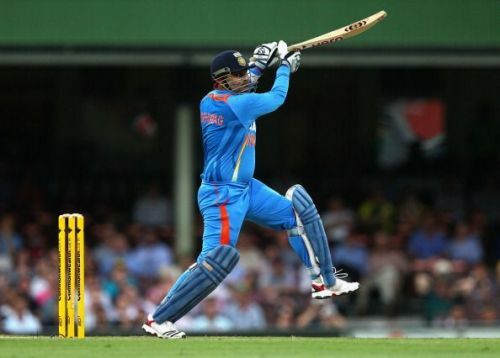 Virender Sehwag is one of the most explosive batsmen of all-time. With his terrific hand-eye coordination, he demolished even the best of the bowlers for runs all around the park. He went tongs and hammers on the bowlers, night in and night out. However, Sehwag started his career as a middle-order batsman in ODIs. It was Ganguly who promoted him to the opening slot and the rest is history. Sehwag has been one of the most reliable batsmen for India and won a lot of matches single-handedly for India. His exploits at the top helped players that followed in the batting unit and India posted mammoth totals on a regular basis. Sehwag featured in 251 matches and scored 8273 runs at an average of 35.06. This includes 38 fifties and 15 hundreds. He is also one of the three Indian batsmen to score a double-century in ODIs.